The Vitalia 3-Light Pendant features hand-wrought, oil-rubbed bronze metal curls around heavy, hand-made glass. Its amber tonalities are key in this exciting mix of materials. Designed by Carolyn Kinder International, the Vitalia collection features seven lighting options including a vanity light, sconce, island light, chandelier. View the entire Vitalia collection on Uttermost.com – search keyword “Vitalia”. Available to trade professionals at Uttermost.com. 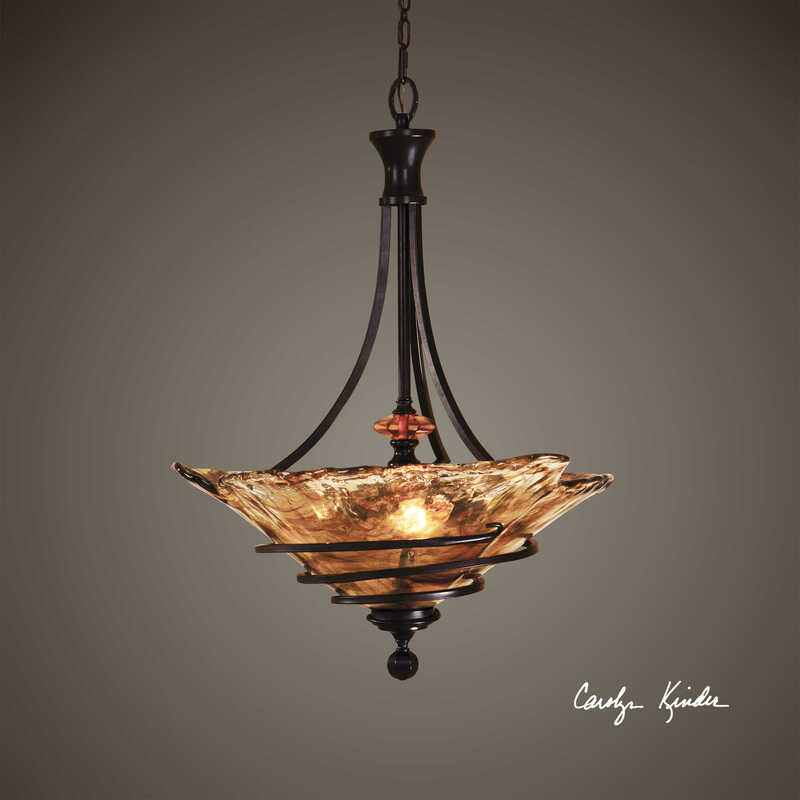 For retail purchase Google search term “Carolyn Kinder Vitalia 3-Light Pendant”.